My husband, Robert, and I were born and raised in Canada. 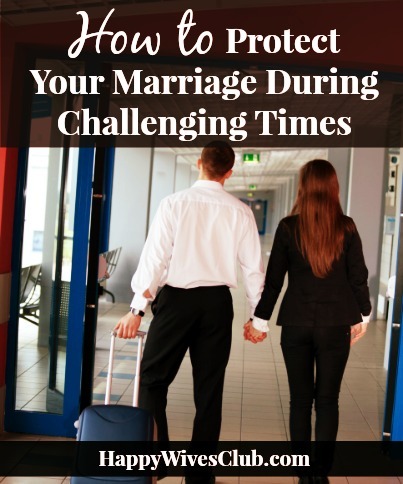 We currently live in the United States, but return frequently to visit our parents. 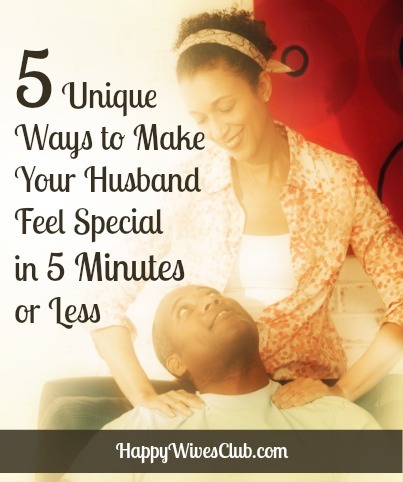 Driving may take a day or two, but the time spent together in the vehicle is priceless. We refer to each other as a “captive audience” on these long drives. It’s awesome. 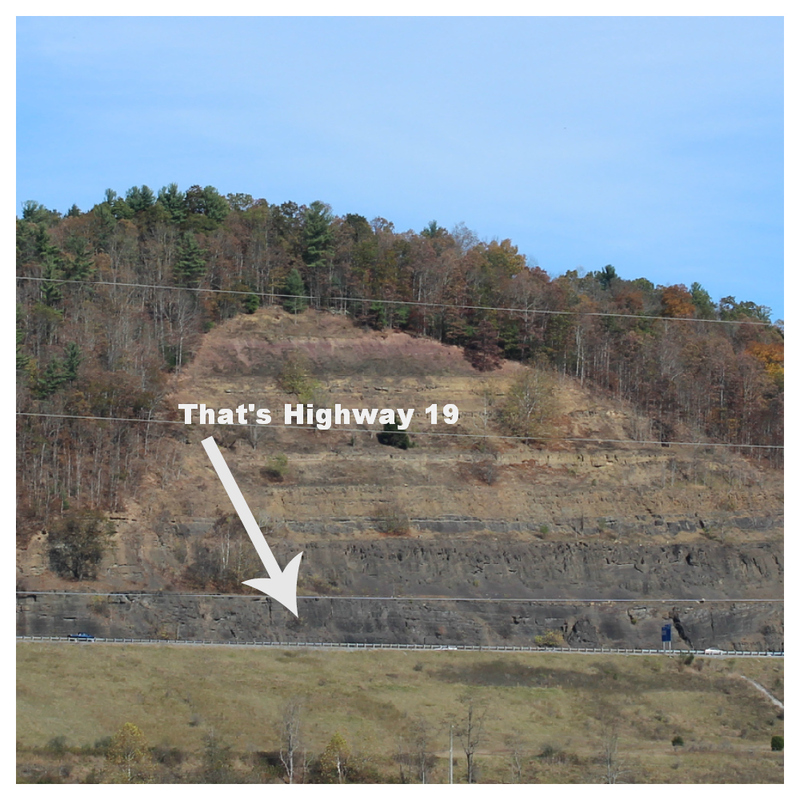 This drive up to Canada took us through West Virginia on Highway 19. It was just the perfect autumn time to view the wild wonder found in this state. The world’s 4th longest steel arch bridge is in West Virginia. The New River Gorge is 876 feet below, and a long wooden walkway descending into the gorge allows views that are breathtaking. 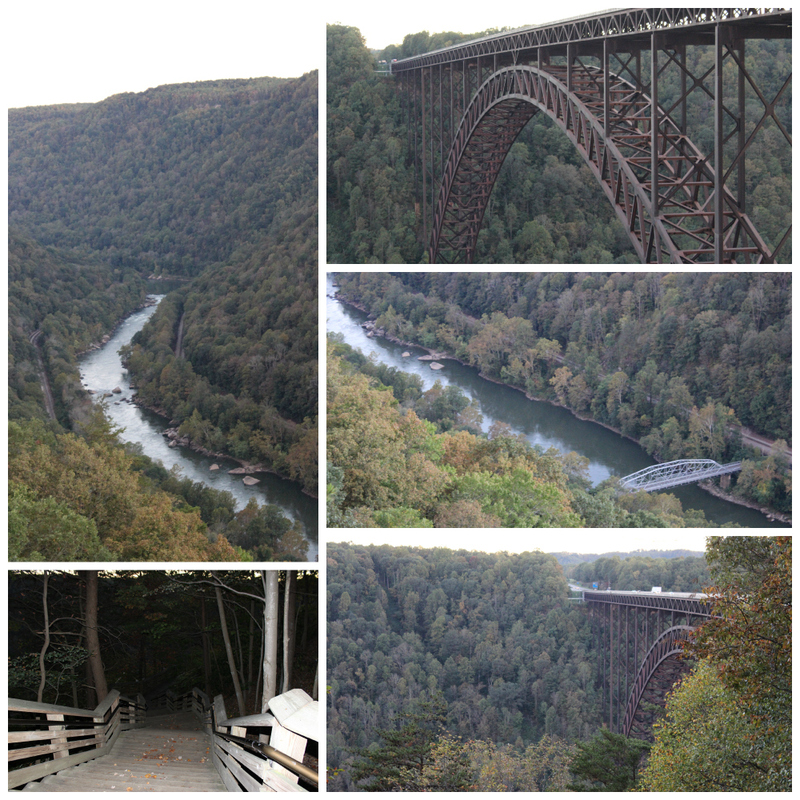 Next time we drive through WV I’d like to take the quarter-mile guided “Bridgewalk Tour” on the catwalk just underneath the bridge – it’s handicapped accessible. State Parks provide romantic side-trips. Instead of eating a sub sandwich at a rest stop, we pulled off the road at Camp Creek State Park. We were the only ones in the park at the time… it was a walk through a wonderland of colors. Silence and beauty – a romantic combination. West Virginia artists share their talent housed in one building. 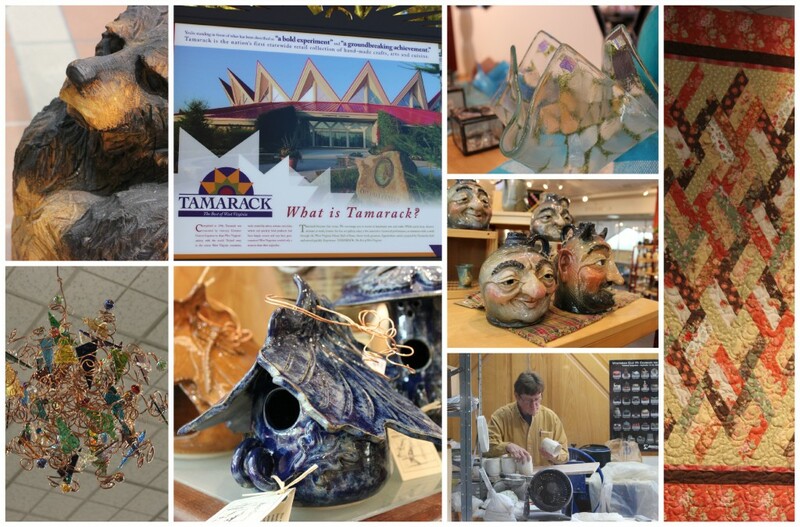 For those who admire and value artisans and their work, the “best of West Virginia” can be seen and experienced at Tamarack. Resident Artisans, gourmet food, baskets, pottery, glass, books, jewelry, apparel, a conference center and even a theater – all available in one spot. A shoppers paradise! 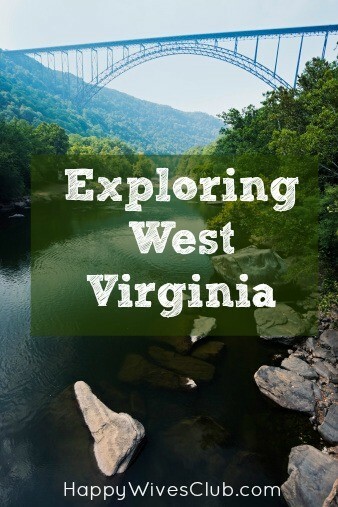 We only drove through West Virginia, so I’m sure there are many more sights to see, places to explore and experiences to add to our bucket list! 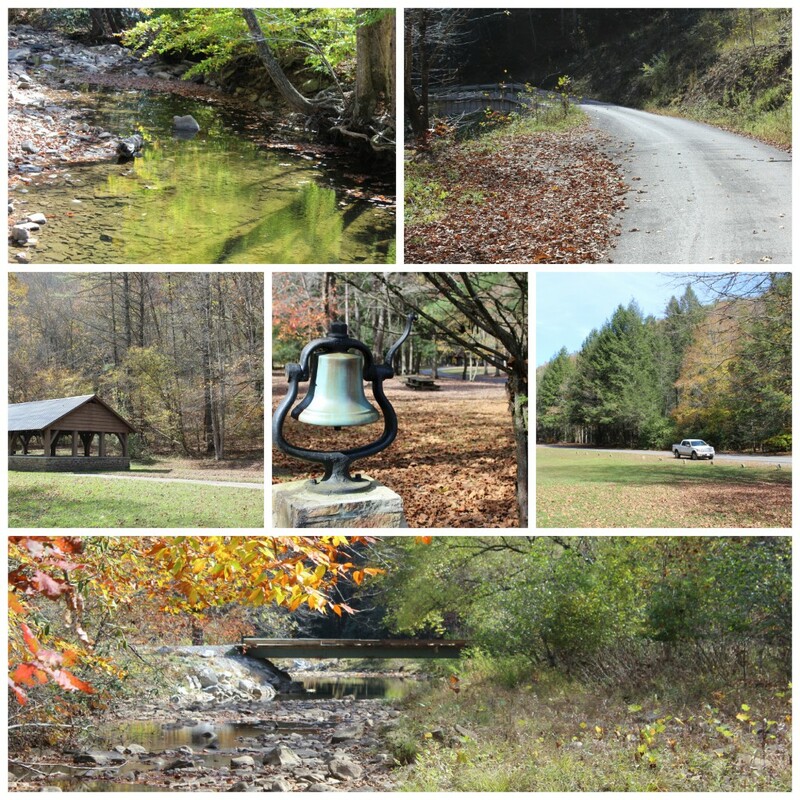 What’s your favorite part of West Virginia? 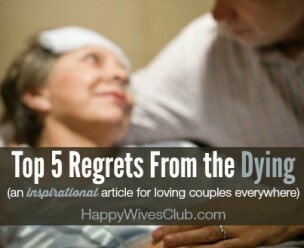 Leave a comment – share!